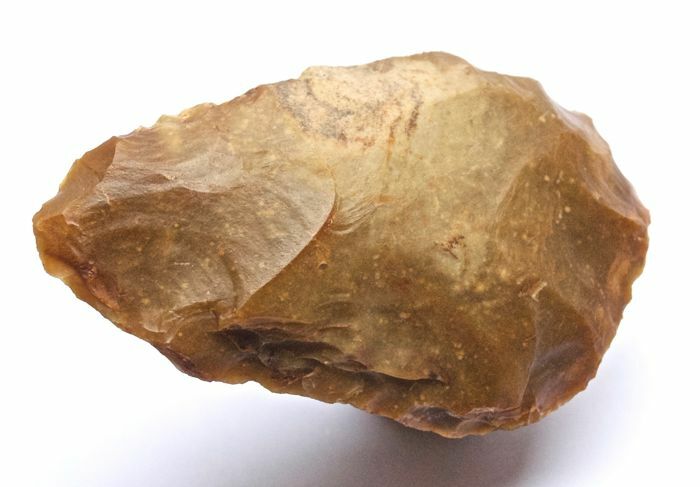 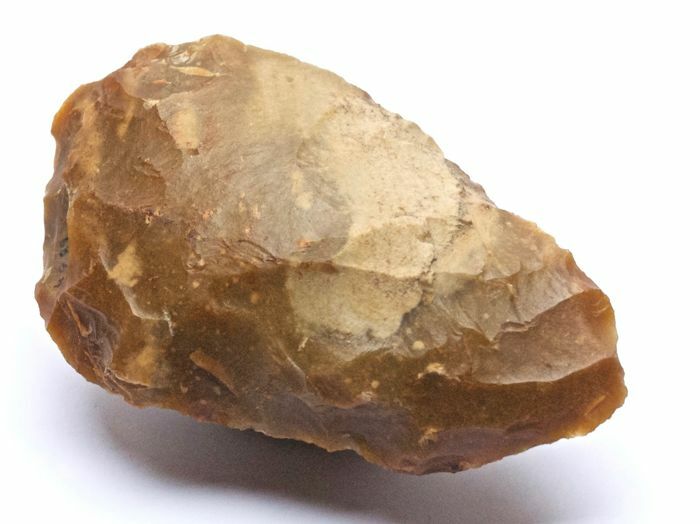 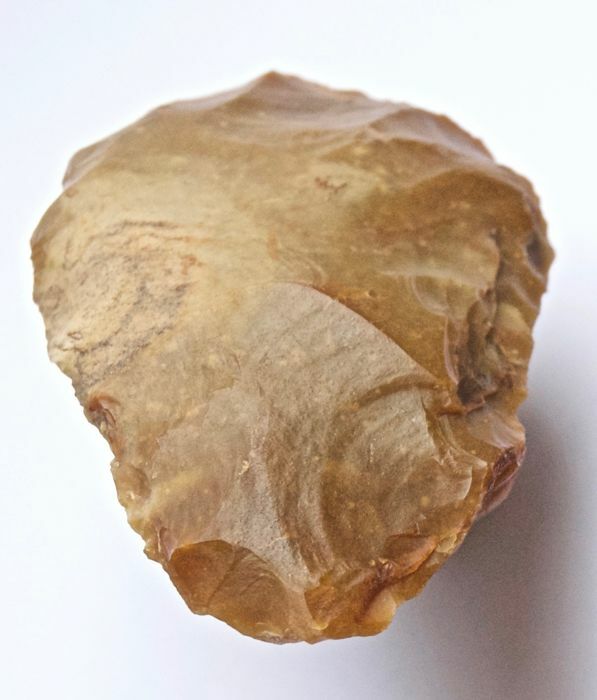 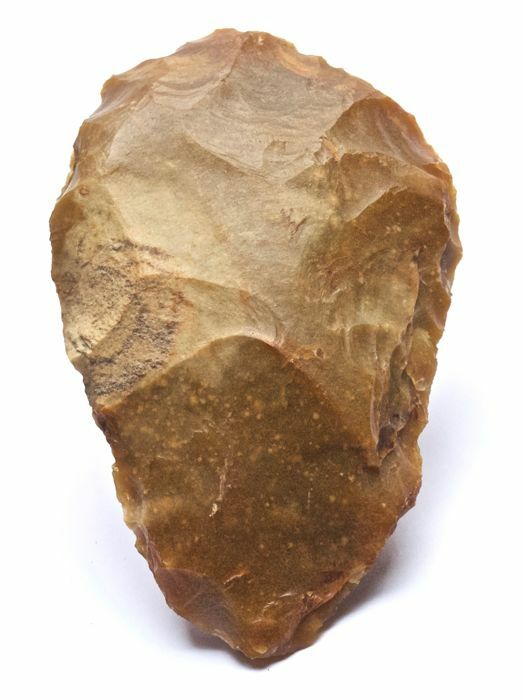 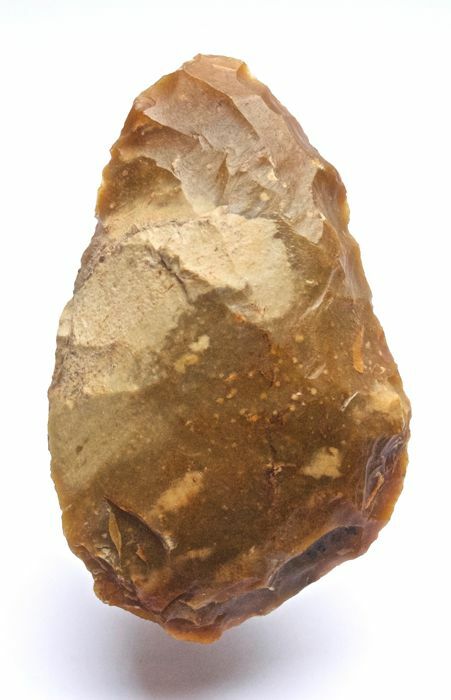 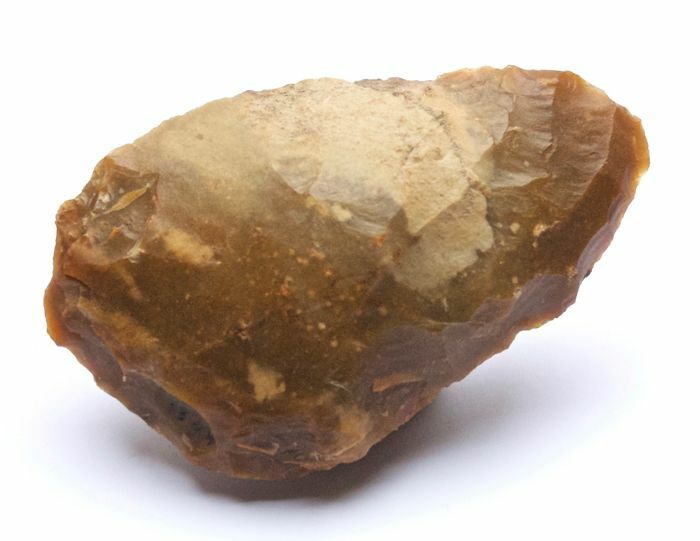 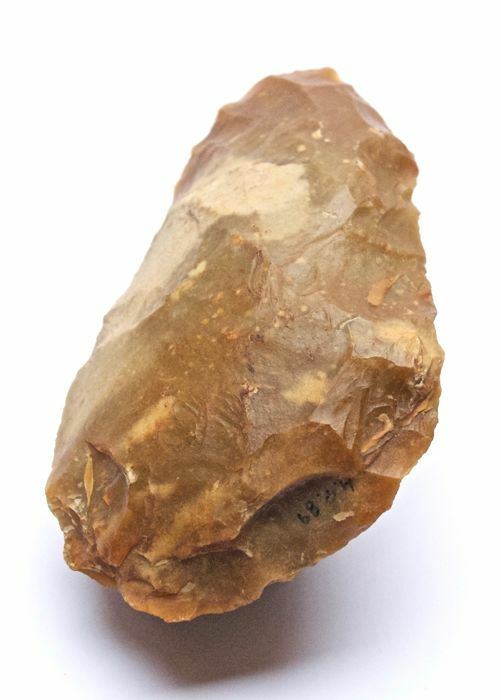 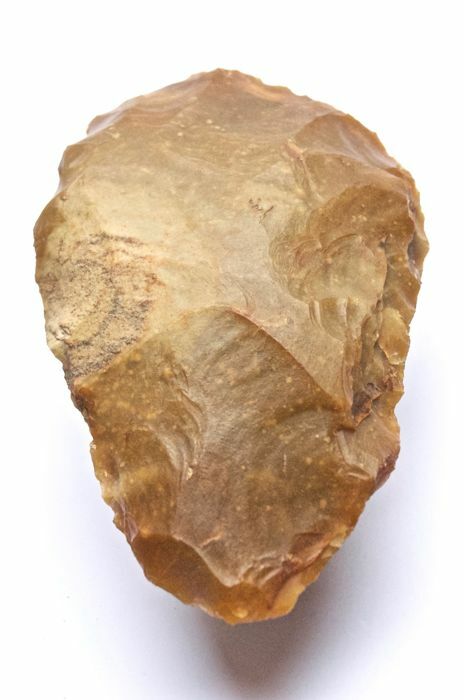 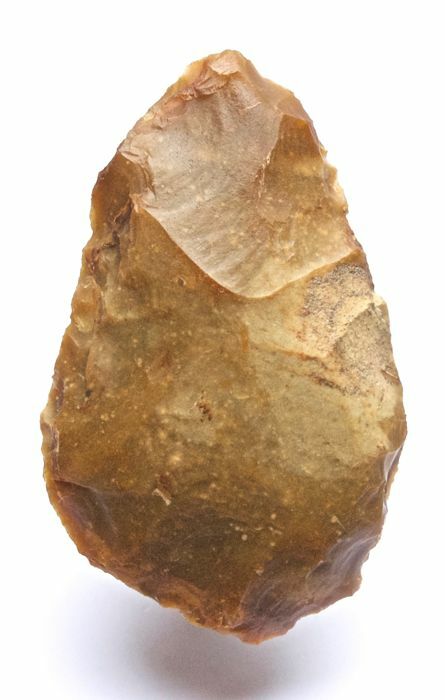 Typical cordiform biface made from Flint by Homo Heidelbergensis. 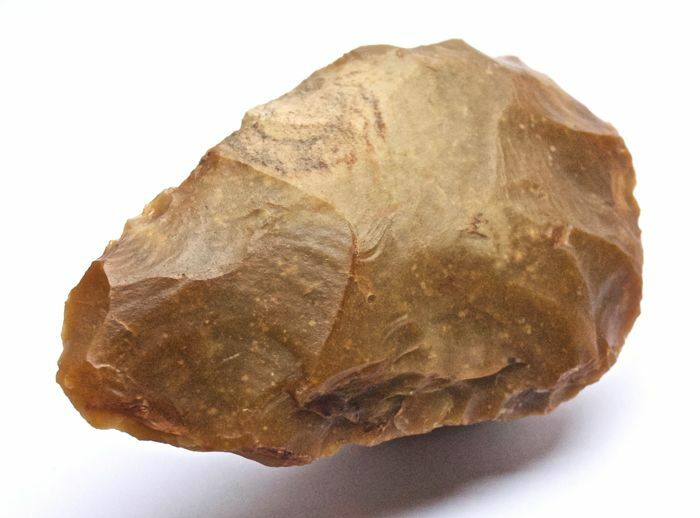 Made from the silex of Le Grand Pressigny and found in the area there, unfortunately without exact location. 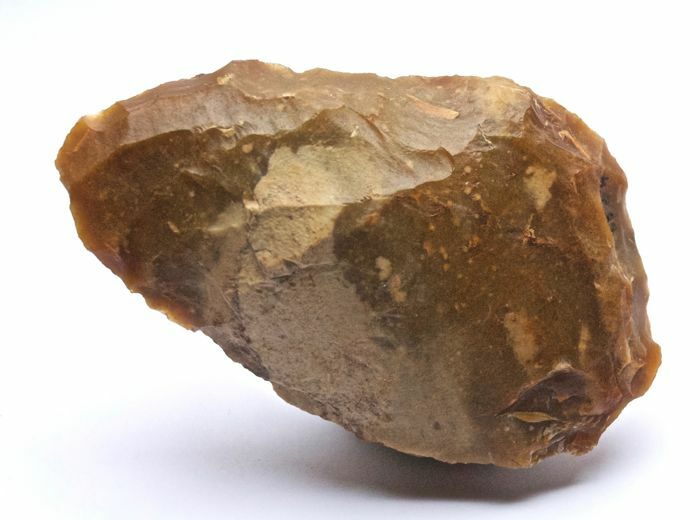 Intact, no recent damage or restorations.